A unique cabinet in reclaimed solid wood and disused shutter strips. 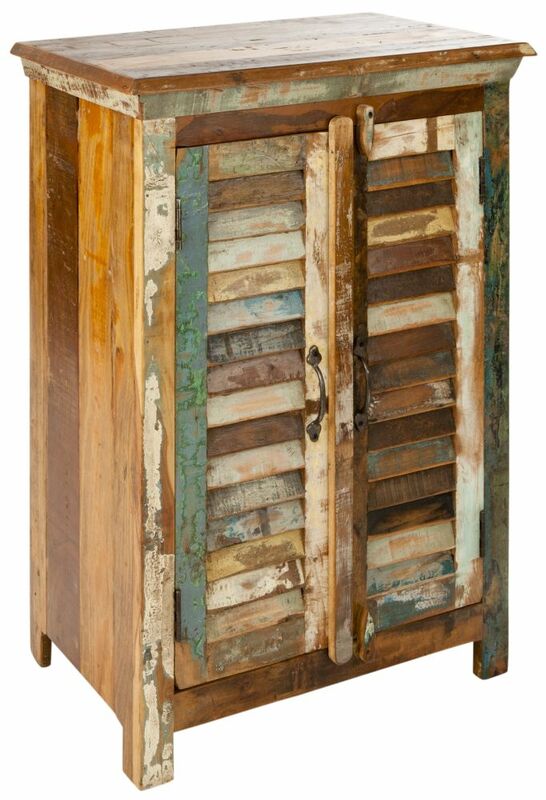 ARUSHA is a unique 2-door reclaimed wood cabinet, with doors that have been lovingly handcrafted from upcycled wooden shutters, with much of the original paint preserved to retain a vintage charm within a contemporary design. The cabinet has one shelf right in the centre.